Thérèse is Swedish with an international background growing up in London and Geneva. She holds an MBA in Finance & Luxury Goods/Services from the International School of Monaco and a BBA from Parsons School of Design in Paris and New York. 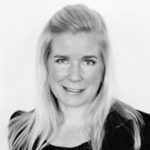 Thérèse has 20 years of experience from leading positions within business development, sales and marketing working both for small and large companies. Thérèse’s strong interest in boats and background as a sailing instructor, drove her to join J Craft in 2009, a Swedish classic wooden boat company with the task of helping them launch a new boat model in the Mediterranean. During this time, she travelled the world and visited all major yacht shows. In 2012 Thérèse launched her own luxury travel company, The World of Envy, together with a business partner. Today The World of Envy is a leading high-end agency in Stockholm. Experiencing the stronger interest from her luxury travel clients to charter yachts, joining IYC Scandinavia, was the natural next step. With the experience from both the luxury travel and yachting industry, Thérèse has a great platform to stand on and the knowledge to take great care of her yachting clients – not only to find the best yacht but also to create the best itinerary and activity schedule. With her strong organizational skills and strategic mind no detail is left to chance.